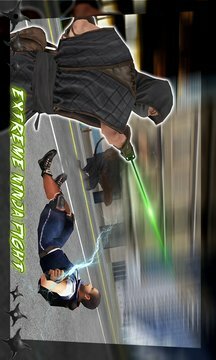 Ninja Warrior Crime City Sim is powerful samurai simulation in crime city. Trained in martial arts this KungFu hero is out in crime city for good. Unleash Ninja Warrior experience in action 3D TaeKwonDo game to reduce crimes and violence. The brave hero uses powerful moves for justice. Destroy enemies with martial arts skills. Fight like a shadow. Do not be seen. Kick, Punch, Jump. You are trained for these fights in china for a long time. Now is time to use them for justice. Use KungFu skills of ninjutsu. Fight like brave and experienced stealthy soldiers as shinobi in simulation. Multiple missions, immersive graphics, realistic 3D effects, this crime city sim unleashes the powerful Chinese master who fights like a shadow. Master the moves and powerplays to cause maximum damages to criminals in samurai TaeKwonDo fights. Once you master the controls in initial levels, rise to higher levels to unlock more actions. Fight against crimes in the city as a master of martial arts. You are stealthy hero that will rise in city with your powerful moves.